Say goodbye to pool days and say hello to winter wonderland! The holiday season will be here sooner than we know it. Whether you’re drinking hot chocolate by the fireplace, baking cookies or snuggling up to watch movies, this time of year is filled with love. Here at The Research Triangle Park, we want to spread the love even more. 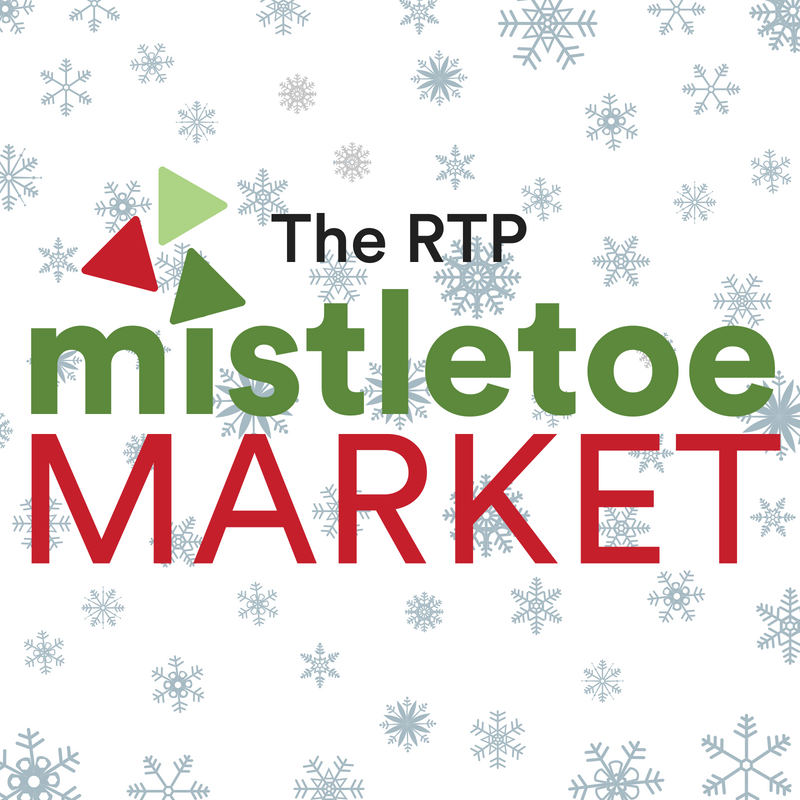 On December 13 from 4:00 – 7:00 PM (an extended Happy Hour), we’ll be hosting our 4th Annual RTP Mistletoe Market. We will have 50 local vendors spread throughout the Frontier 800 to sell their goods and help you spread holiday cheer. In honor of the giving season, vendors will donate 15% of their proceeds to Code The Dream. Leading up to the event, we’ll be sharing tidbits about some of the participating vendors. Mark your calendar! We look forward to seeing you there. A: Growing up, I was always a huge fan of school supplies and wanted to design them when I grew up. My dad always saw me doodling on napkins and notebooks, and told me I should start my own business one day. Q: Is this your full time gig or side-hustle? A: Side-hustle, but hope to make it full-time someday. A: Hopefully becoming more a part of the wedding industry. I love doing wedding signage and invitations! A: I make mittens, scarves, and other accessories from ‘up-cycled’ clothing (mostly wool and cashmere sweaters) and other fabrics. I try to use as many re-purposed materials as I can to create unique, fun products. A: Pinterest and Scrap Exchange in Durham. A: I was dropping some items off at Made, a store I sell at in Cary, and a customer in the store overheard the owner and I talking about my stuff. The customer pulled a pair of mittens out of her purse and said, “Oh! You’re the girl who makes these? I love mine!” It was really cool to know there are people walking around out there wearing something I made. A: One woman show and love it! A: It’s so much fun to create different looking utensils based on the mood I’m in at the time! It could be beachy, earthy, sports related or bright red.